On my 3rd day in Guilin, China, my travel partner Jam, his friend and I visited Longji Rice Terraces (龙脊梯田) in Longsheng County. We planned to stay a night there. Longji or Dragon's Backbone is so named because the rice terraces resemble a dragon's scales, while the summit of the mountain range looks like the backbone of the dragon. After our breakfast of rice noodles, we took a bus from Guilin Main Bus Terminal to Longsheng (龙胜), which is about 90 km or about 2 hours drive from Guilin. 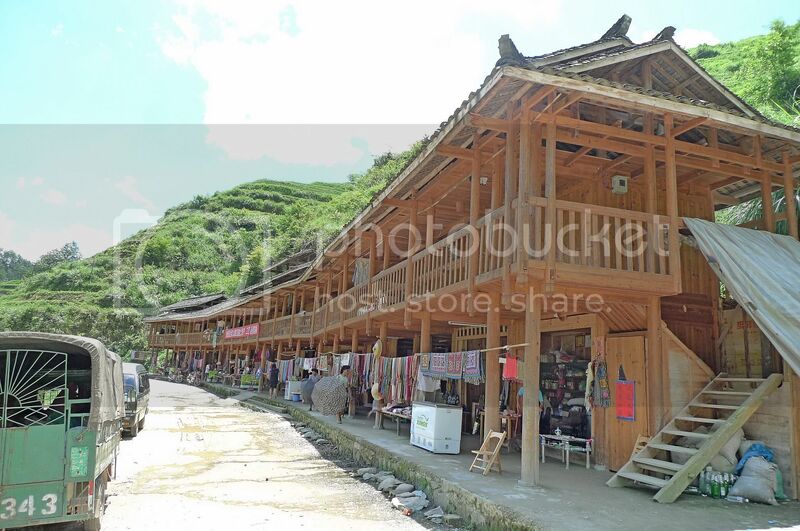 However, instead of going to Longsheng, we got down at Heping Village (和平乡) on the way to Longsheng. 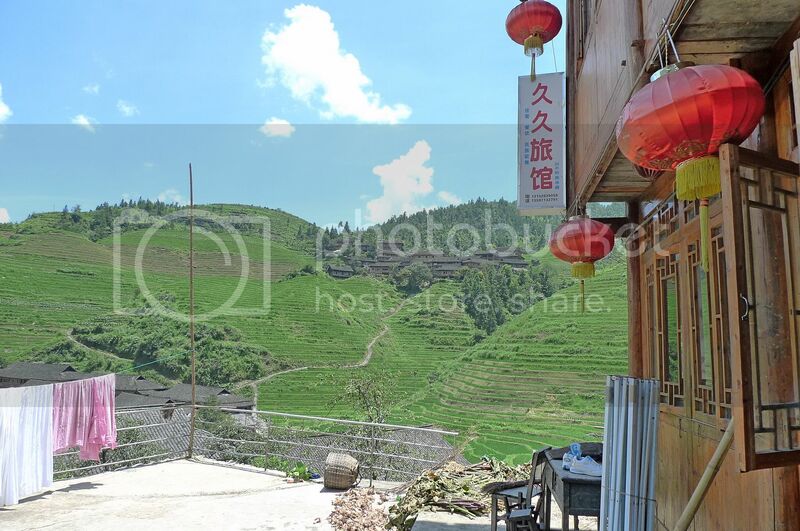 This was because it was nearer and more convenient to go to Longji Rice Terraces from Heping Village. 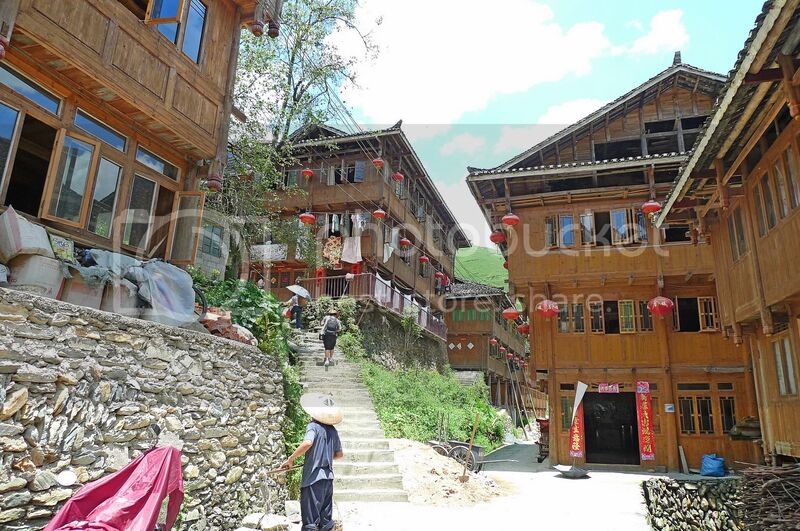 Although we planned to stay overnight in Longji Rice Terraces, we had not booked any accommodation yet. But as luck would have it, we were approached by a lady in the bus who offered us her place for 30 yuan per person. Since she also offered to be our tour guide, we did not hesitate to accept her offers! After getting down at Heping Village, we followed the lady whom we called as Da Jie or Big Sister. She had arranged for a van to pick us up to her village, Dazhai (大寨). On the way to Dazhai, we passed by the Jinzhu (Golden Bamboo) Zhuang Village (金竹壮寨) where we stopped at a ticketing office to pay 50 yuan per person in order to enter the Longji Rice Terraces Scenic Area. We arrived at Dazhai around noon. I forgot to take a photo of the entrance gate! There, a few ladies with baskets on their back approached us and offered to help take our luggage for 25 yuan. We however, declined their offers. 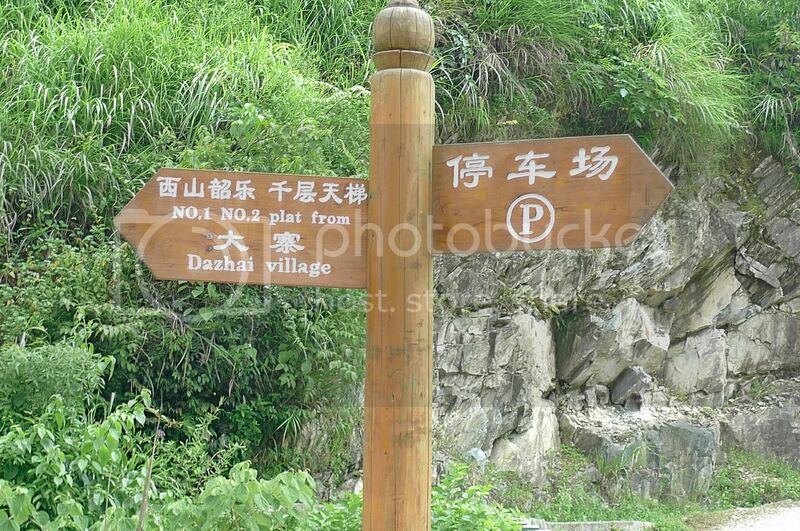 Although we had reached Dazhai, we still needed to walk about 20 minutes to reach Da Jie's house. After paying the driver 7 yuan each, we alighted from the van and followed Da Jie as she led the way. 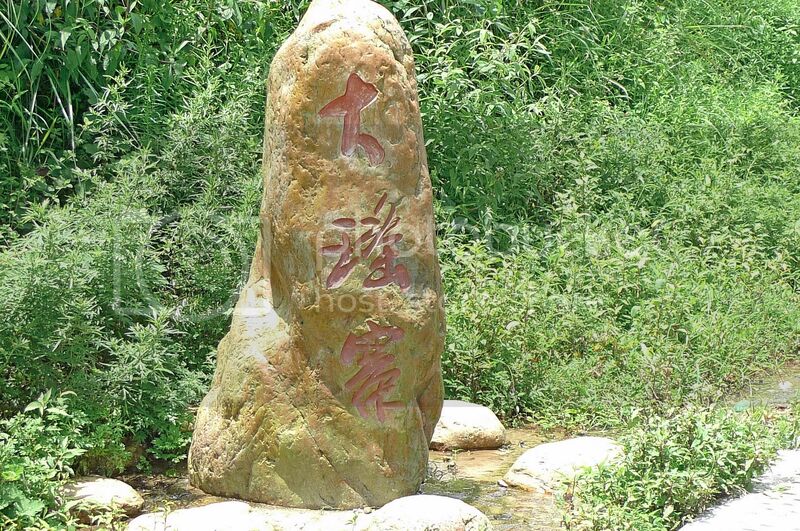 Soon, we reached a rock that reads Da Yao Zhai (大瑶寨) which can be shortened to Dazhai. Not far from the rock, we could see a bridge which was called the Wind-Rain Bridge (风雨桥). This bridge served as an entrance to Dazhai village. It was made entirely of wood and had a unique architectural design. Once passed the bridge, the magnificent view of green rolling hills and rice terraces greeted us! We continued to follow Da Jie as she led us to her house. We saw many wooden houses like these! These houses were special as they were made entirely of wood with no iron or metal. 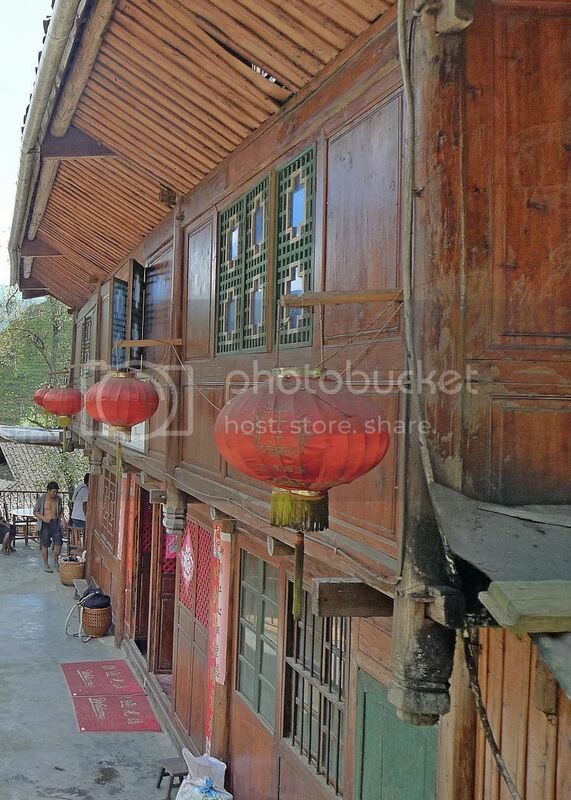 They were called Diaojiaolou (吊脚楼) which literally means "Hanging Foot House". It is so called because the columns on the first floor do not reach the ground but are suspended halfway. Can you see the "hanging foot"? The "hanging foot" is actually a very unique architectural design found mainly in south western part of China. You can see from here that no nails were used in constructing Diaojiaolou. I found that simply amazing! 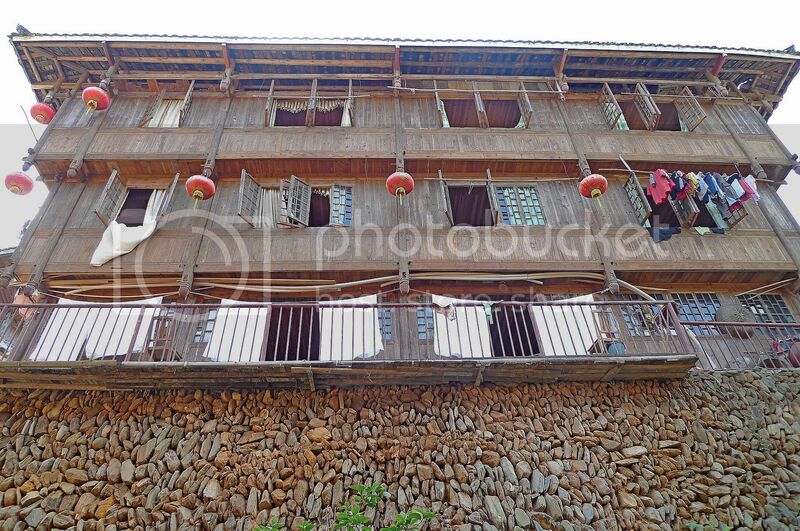 Besides that, most of these Diaojiaolou houses are built on pebble slabs and not on the ground. 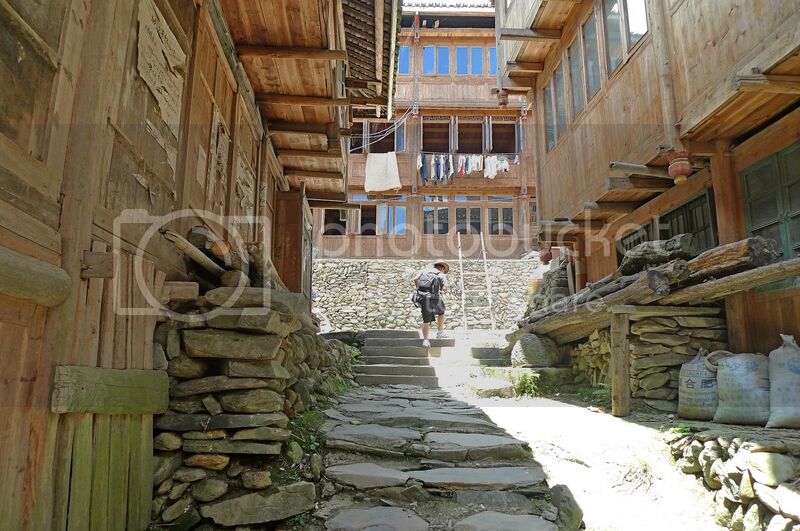 All these wooden houses were built using fir wood which was abundantly found in the fir wood forests! I noticed that most of the houses in Dazhai were either two or three storeys high. Before we knew it, we had reached Da Jie's house which was actually converted into a hotel! It was called Jiu Jiu Hotel (久久旅馆). In my next post, I shall tell you more about this hotel, what we had for lunch and what we did after that, so stay tuned! 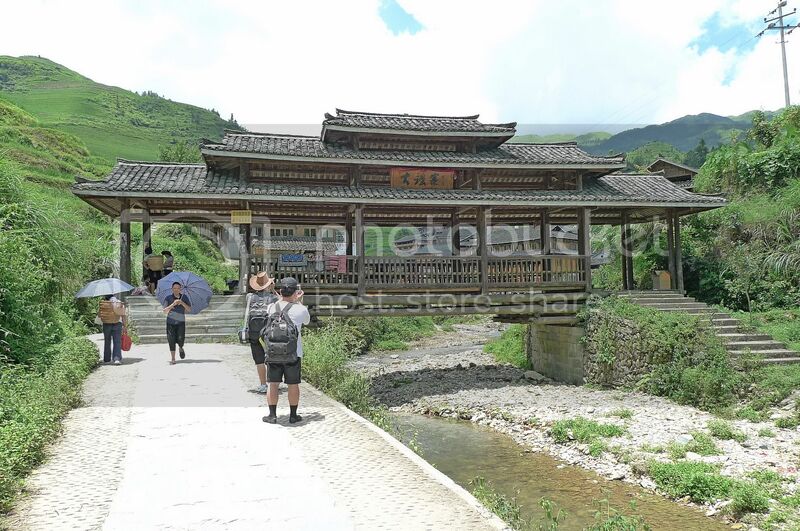 wow nice village :) wish the area will be preserved well :) at least until i have visited lol i always impressed with chinese architecture... japanese too learnt the skill from chinese...ops, they were chinese too once upon a time... lol ops racism if i say so? Love the houses! Must be nice to spend a night there, esp since it's so cheap too. I particularly like the 7th photo. The mountain look so green. All those are rice fields? wow looks like a great relaxing place to be in! "But as luck would have it, we were approached by a lady in the bus who offered us her place for 30 yuan per person." I like the buildings in that village. It's interesting that structures can be built without the use of nails. Compare that with the many modern buildings and structures that we have. Some even collasped! Hey, those wooden structures are really amazing, a marvell sight to behold. the place really look like those in the films! nice village n very clean summore. i like the way dey hang those lanterns! hehe btw, no car at there?? I have to agree with Lina and KS about your 'habit' of following strange women. OMG it's a wonder you got off still in one piece. LOL! 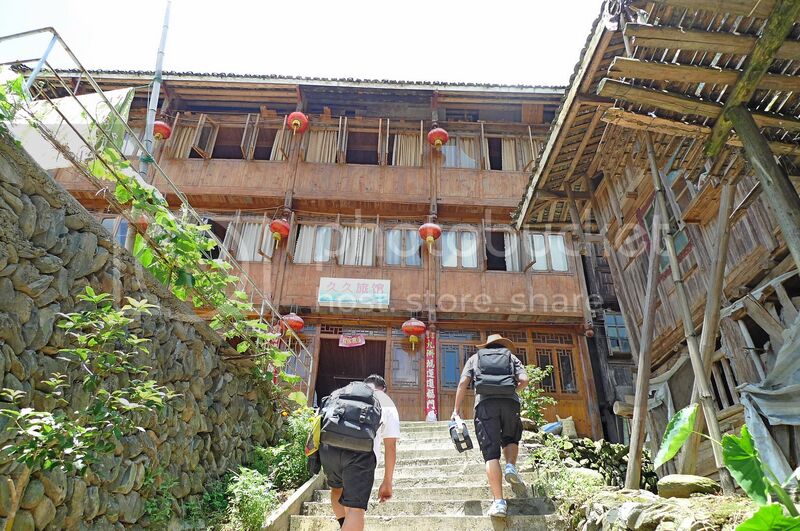 25 yuan for carrying baggage and having to pay for entrance to view the rice terraces? Gee! Hope the viewing was worth it. That is a beautiful village of unusual houses. Even the bridge looks amazing. How big is this village? Where is everybody? 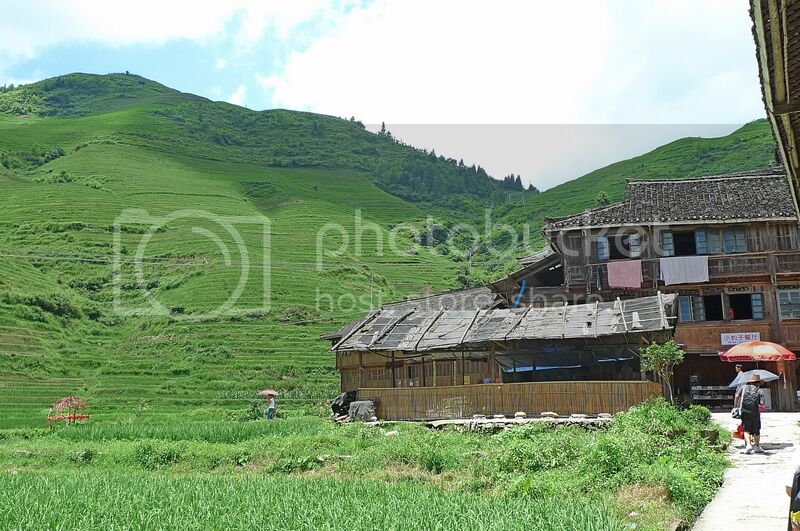 I like the longhouse in the second picture - kinda like chalets facing a beach at a resort location. My fav photo is the 9th one. It has a certain calmness in it. Thanks for sharing them all. We wouldn't have been able to see such beauty if not for your going off the beaten track. Kudos, Foong. Wow such a calm and beautiful place. Thanks so much for the pics. Please do keep posting pics of such new places. 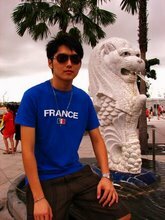 thank you for sharing foong. Wow, it looks like the whole mountain had been carved into the terraced rice padi! the closest one I’ve seen is at Ubud, Bali. What? Helping to take your luggage need to charge another 25 yuan? They are really good at sucking blood now huh! 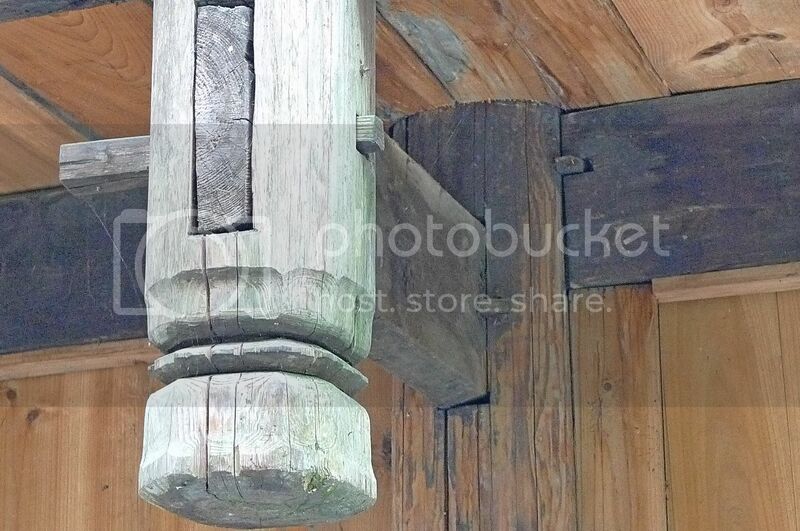 I am so impressed with the olden days on how people can build houses like than without a nail! 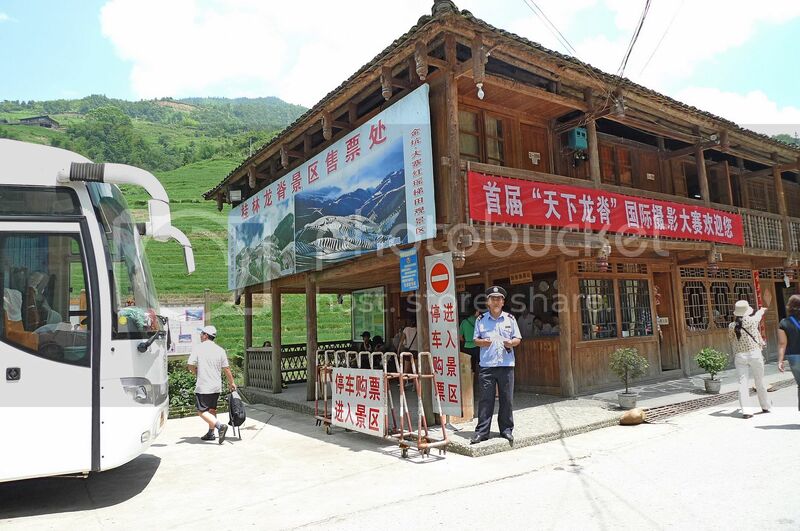 hey, the banner at the entrance says "1st Longji International Photography Contest", you didn't take part in that?? i like the houses in this place.. all made of wood and climbing up the hills.. very special indeed..
special architecture huh?? the columns does not reach the ground but hanging?? hmmm, then by what the houses are supported?? hmmm where is the hotel?? wow those houses.. very special indeed!! Lovely wooden houses with the pebbles, btw any idea what is the purpose of the 'hanging foot' besides showing the unique state-of-the-art design with no nails? Aiyo why the shape of the stone with the word Da Yao Zhai looks like something very familiar one???haha.. The post is really outstanding. The beauty of the place is mind-blowing. 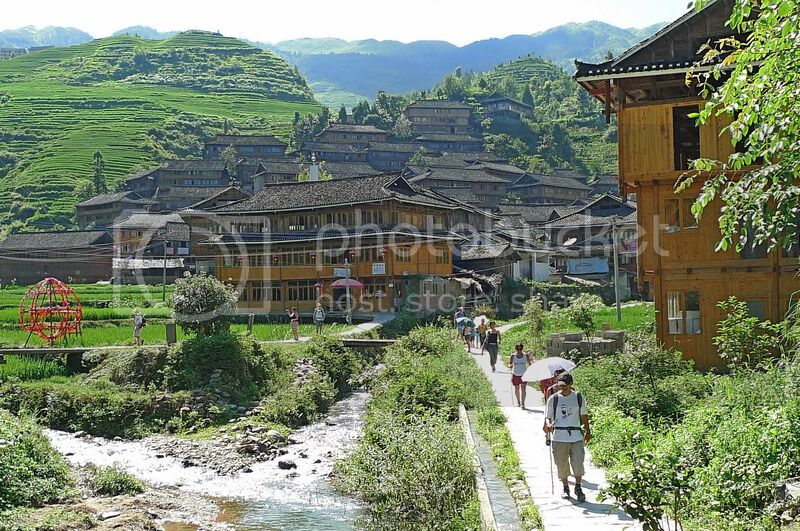 I must appreciate you for informing us about Longji. Bye. That place is really nice. It is the first time I saw rice terraces located outside the Philippines. We have our own rice terraces here and it is called Banaue Rice Terraces. I'm back! Thanks for your message on FB. I love the wooden buildings! So rustic and cosy looking. Can't wait to see the interior. This reminds me of our planning trip (university curriculum trip)to the rice terraces. It's very refreshing there with simple and very basic life. Those wooden houses look very majestic. Please tell us more bout the hotel, must be a very unique place to stay. the green rolling hills and rice terraces are absolutely gorgeous. reminds me of cameron. 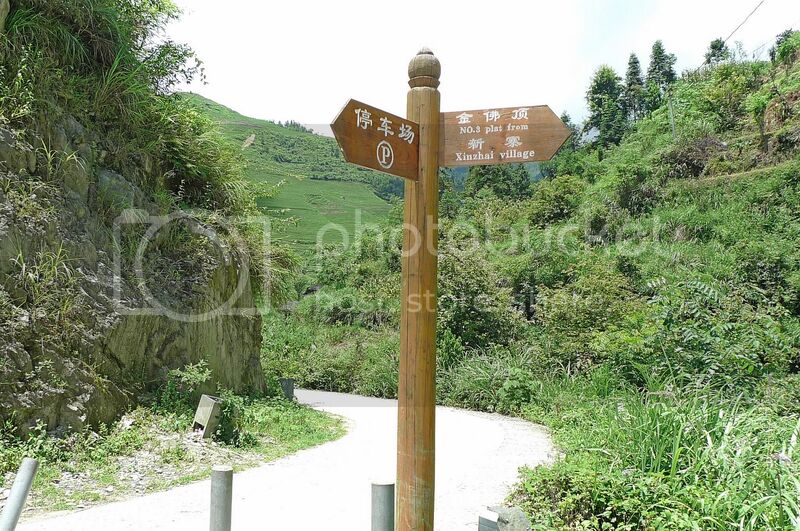 My friend's Guilin photos were so boring! I have asked him to view yours. Nice! i love the houses in the village but i think when it comes to the rice teracces the banaue rice terraces in the philippines is better.love your photos and your blog!